I don’t know if it’s the time shift, or the fact that I often fall asleep on the couch at 8 PM – but I find myself getting up before the sun these past couple months. Have been trying to be a little bit more productive with it. Getting up for a walk or run, snapping a few pictures of the sunrise along the way. I thought that sharing my favorite photos I’ve snapped in the past month, along with a short blurb about what’s going on would be fun. I’m very fortunate to call such a magical place home, and I thought you guy might enjoy a little taste of that! So, we’ll see how it goes. Whiskey sours. This is a funny story! So, last summer I went to this fun blogger event sponsored by the folks at Maryland Tourism. Local breweries and distillers were on site schmoozing with a variety of local area bloggers. 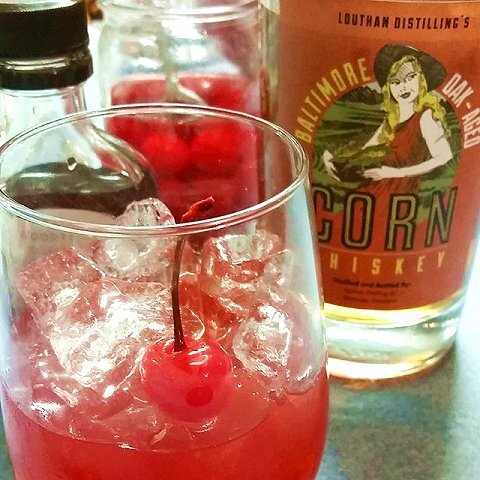 I got chatting with the folks at Louthan Distilling, who are out of Baltimore – but use grains harvested from the Eastern Shore. 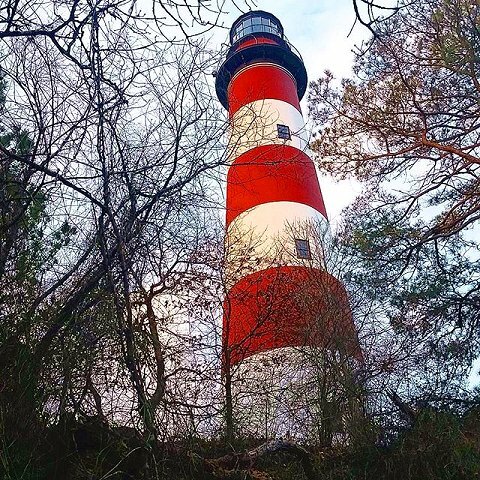 I mentioned that I lived on Chincoteague…would you believe the father of the distiller (who is the co-owner) literally have a vacation home one door down from me here on the island? It never ceases to amaze me how small of a world this is! Naturally – we’ve become great friends. Len & Nancy have been over a couple of times for dinner, and drinks on the porch are quickly becoming a favorite pastime when they’re in town (who am I kidding, that’s always a favorite pastime around here!). The whiskey is phenomenal, wonderful to drink over a bit of ice or to use as a cocktail crafting agent. Santa brought the husband a nice collection of assorted bitters this year, so we’ve been fun experimenting with those! My morning walks I mentioned have been getting me a little more off the beaten path lately – which really says something for a girl who’s always got marsh mud stuck between her toes. Often, literally. I love to find a new perspective on things that I view on a daily basis! Or, sometimes I’ll find myself more on the beaten path. Literally. 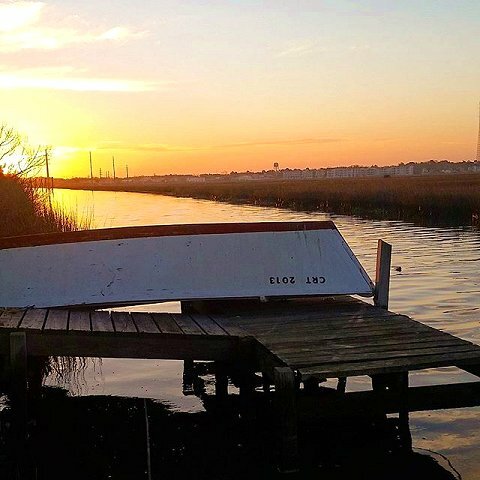 For instance, this boat that’s on the side of the causeway (the long stretch of road over the marsh coming from the mainland to the island). I’ve driven by it a million times, always framing a shot in my mind – but never stopped to take the picture. Finally got around to it a couple weeks ago, and I love it. I need to get out there with my big girl camera soon and take some real photos! 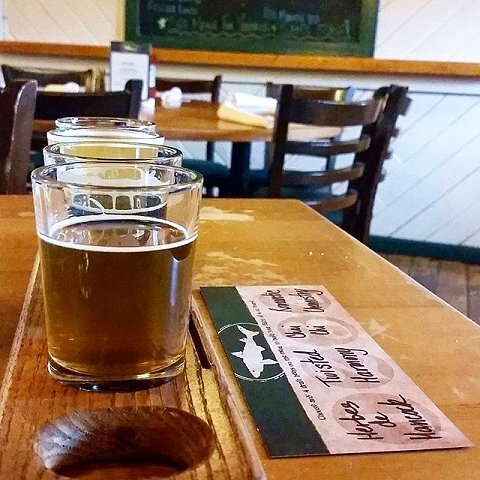 Whenever we get a chance we love to take a drive up to the Dogfish Head Brewpub on a weekend for lunch. It’s still the “off-season”, so they’re not quite as busy as they are in the summer months. The food and beer are always wonderful, and they’re very family friendly – which is a major plus with our crew! Whenever we go, we always have to try a sampler of their brewpub exclusives – which are brewed in small batches right there at the brewpub. It’s always fun to see some of those brewpub exclusives materialize into beers that they then decide to bottle and distribute! Speaking of good beer…guess who had a recipe in American Homebrewers Association’s Zymurgy this month? This girl! As a homebrewer and avid craft beer lover, this was a huge honor for me. 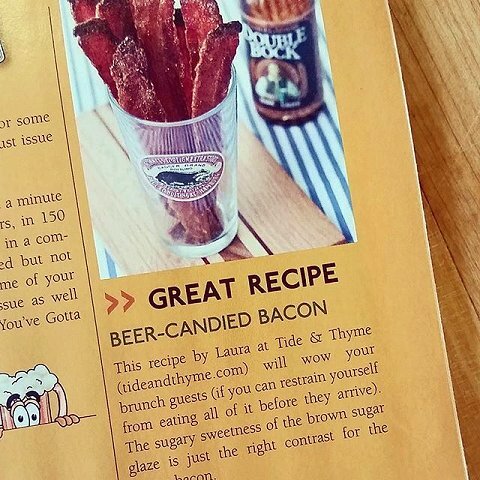 And, if you haven’t made the Beer-Candied Bacon yet…stop reading this and go make it. Like, right now. We’ll wait. If you know me in my private life or through my Instagram feed – you’ll know that I’m obsessed with beachcombing – primarily for sea glass. 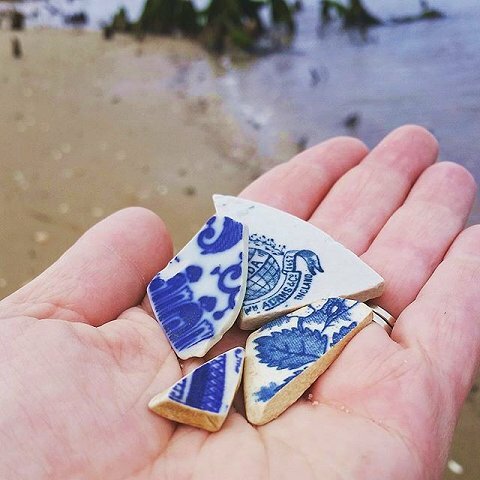 While most of what I find is tumbled glass, which is beautiful – my favorite finds are pieces of pottery that have been broken and worn by the tumbling surf. I love finding something with a pattern or marking, and then tracing it back to what it was in the former life. Most of pieces I find are from the 1920’s – 1950’s. I drive about 30 minutes to the Chesapeake Bay side of the Eastern Shore, as I never have much luck here on the ocean side. You never know what the tide will bring in from day to day! On this particular morning I found quite a few blue & white pieces. 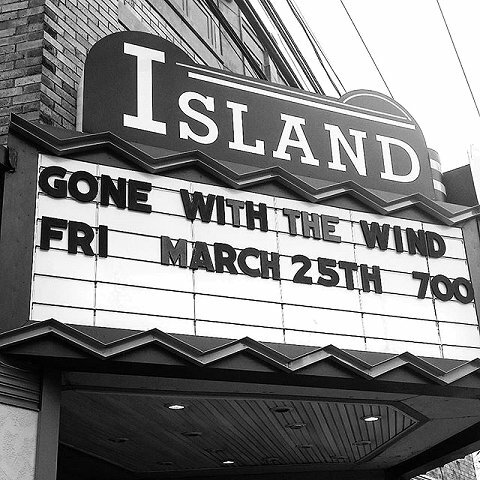 This year during the off-season months our little movie theater has been showing classic films on Friday nights for $5. A couple of weeks ago it was Gone With The Wind. I saw it on the big screen back in 1999 for the 60th anniversary, but couldn’t resist seeing it again. My girlfriend and I went (I may or may have not smuggled in a little bottle of rum to add to our Cokes) and had a great time. The perfect way to spend a small town Friday night! Spring has sprung and these little guys are hatching and crawling all over the island. 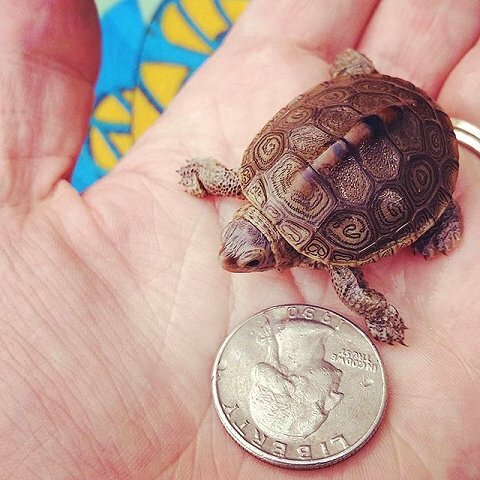 They’re Diamondback Terrapins – once endangered due to over fishing (they’ll eat anything around here, guys! ), and now facing daily dangers of getting caught in crab pots. I try to keep my eyes peeled for them on the road and avoid them when I can. I brake for turtles, y’all! The arrival of spring also means that all my favorite spots are opening back up! 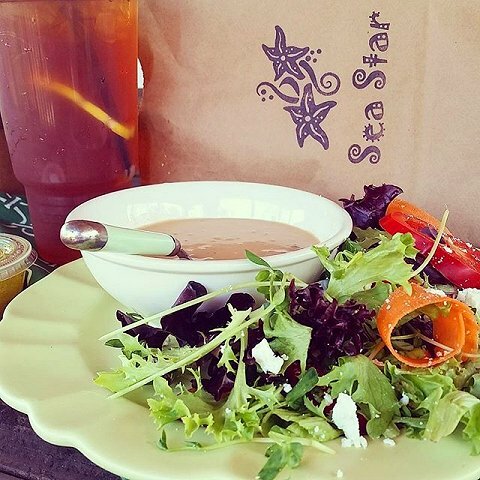 Sea Star Cafe opened a few weeks ago – my favorite spot for lunch. Always fresh and amazing! Ray’s Shanty – for all my seafood needs (heading there today – shrimp & grits on the menu tonight!). Poseiden’s Pantry – my go-to spot for specialty ingredients and craft beer. And, Saigon Village – a phenomenal little hole-in-the-wall Vietnamese place right up the street. 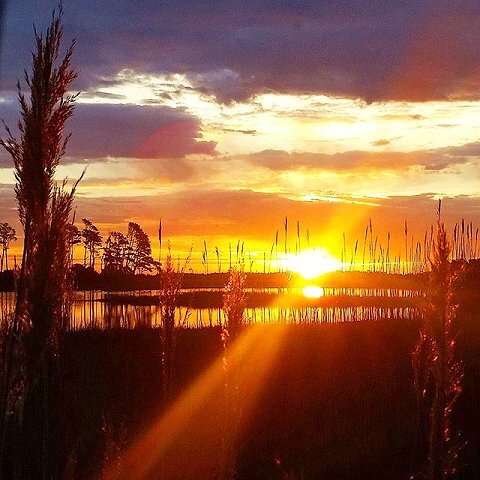 If you’re ever visiting Chincoteague, I highly recommend all of them! This is great Laura! I love hearing of your new adventures, both old and new! Miss you! Miss you too, woman! Sending love out the California way. Thank you for sharing your beautiful pictures. I collect sea glass too, but mine is from the pacific. I’ve never found pottery – I’m envious.